This was another beautiful block that worked up pretty fast. 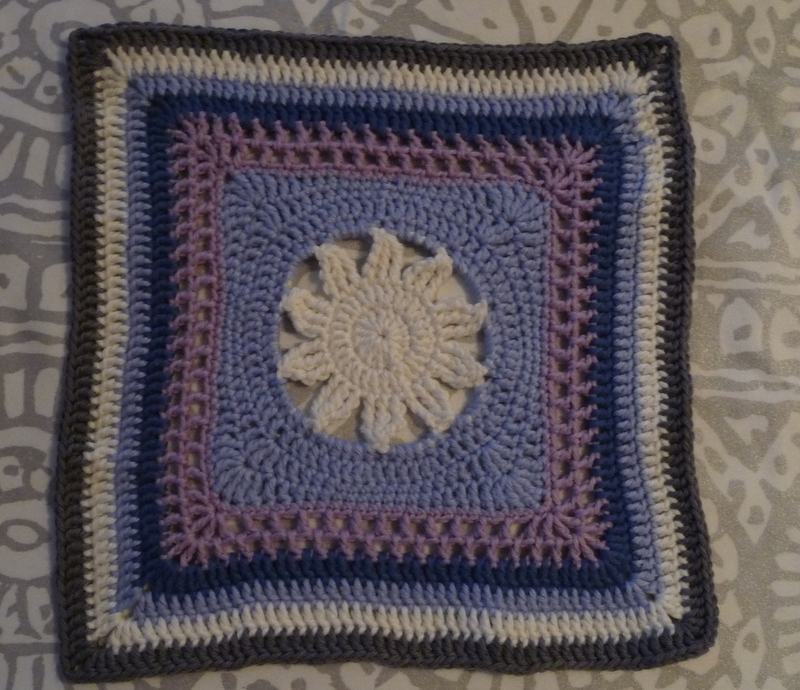 I loved how it started round and turned into a star shape still working round, round 6 and 7 was fun, it was where it started to turn square, then the lace part came into play. 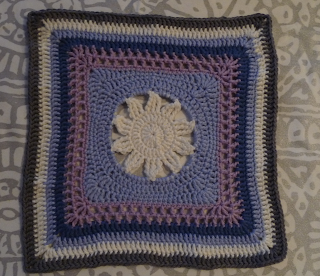 My friend *Kio's star looks more like a flower she choose to have white in the middle, then blue and lastly purple in her star and the rest is done in blues and greens, I like the her colour choices, the dark blue looks like it is framing the star and the last blue row makes a good frame for the entire square. Her colour choices makes her square pop whilst mine seem more subdued and serene. Maybe like a cold star on a winter night? This square took a little less than four hours to do and weighed about 31 grams. 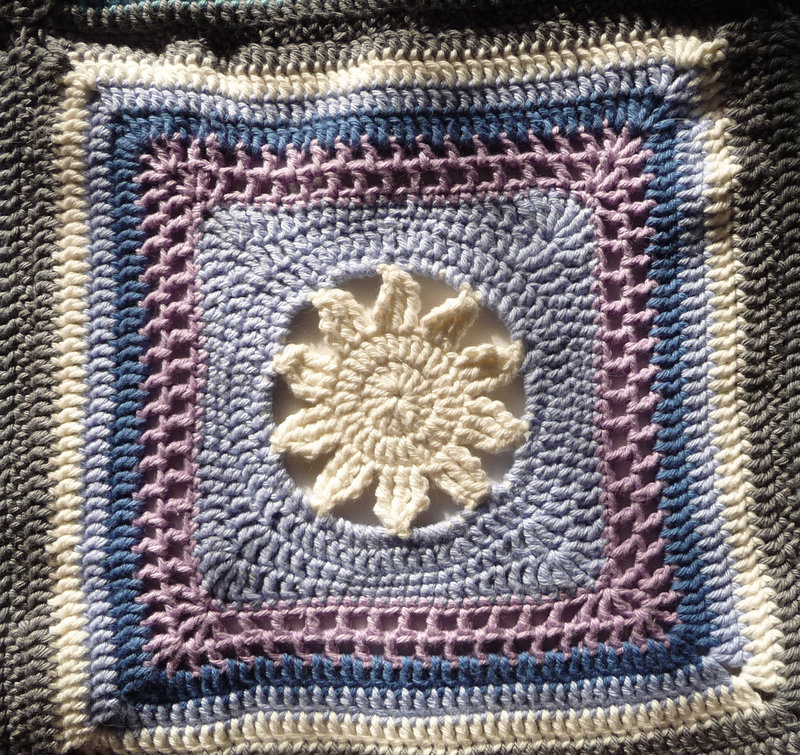 Mr.M liked this square a lot, but he is a huge fan of stars so I am not surprised, it was not his favourite, his favourite will come next week. 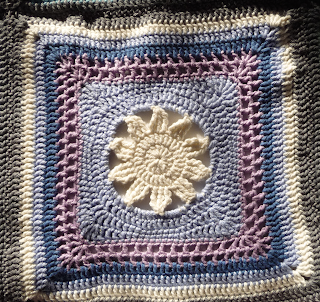 I don't think I have one favourite square, but I do have a top five list, but there are some on that list I would not want to crochet again so in my top five list of my favourite squares that I would like to stitch again the Blooming lace is in the running.